Another group of happy divers qualify at Wellington Reef following two fun dives aboard our boat, Scubee2, at Wellington Reef on Saturday. A big thanks to their instructor, Craig, for getting them through. 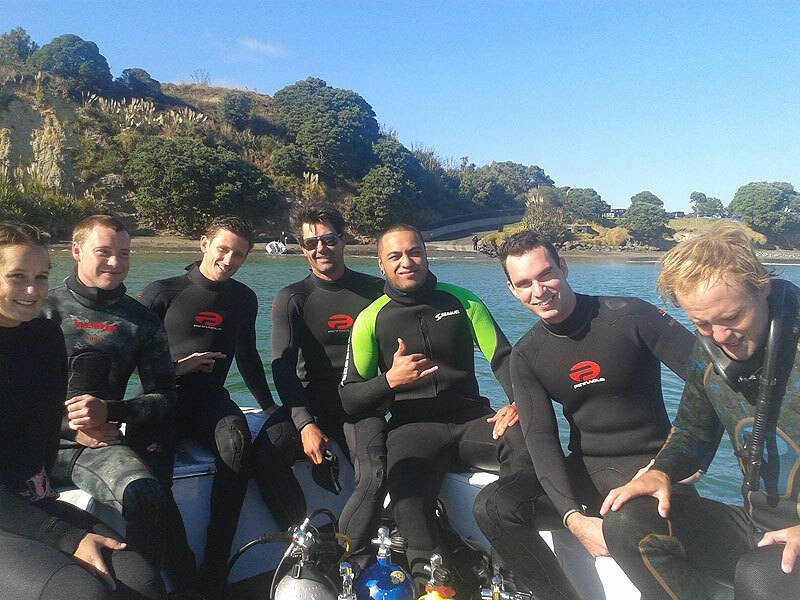 Qualified divers at Army Bay. Midweek Dives at The Aldermans! © 2019 Kiwi Scuba Divers NZ.